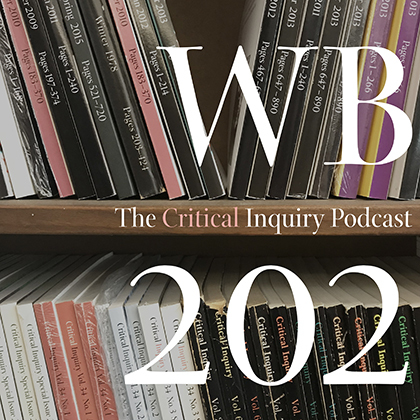 In this week's WB202 podcast, Coeditor Lauren Berlant talks to participants of "The Soup Is On." Lauren Berlant asks participants of the conference about their engagement with theory and optimism for what writing can do. The June 2018 conference launched Berlant and Katie Stewart's The Hundreds (2018), their forthcoming experiment in form, attention, and generative worlding. Apart from Stewart and Berlant, every conference experimenter wrote an index for the book, reorganizing it in their own register and mode. Their collaborative effort aspires to jumpstart a community conversation about what critical thinking can look like, sound like, and be for. To read more about the conference and its participants, visit the 3CT website.